This book presents creative monogram and pattern techniques, as a great way to add interest and texture to any design. 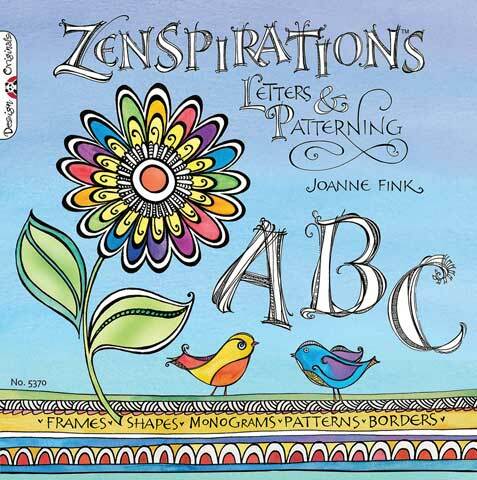 It offers intriguing ideas for filling borders, edges and spaces with creative flourishes. The many decorative borders, frames, shapes and letters included in this book will appeal to a spectrum of tastes and styles. It also contains techniques to create details, depth and beauty reminiscent of classical architecture, medieval block printing and manuscript calligraphy. The included instruction makes it easy to turn simple lines into attractive designs, and inspirational illustrations will encourage artists and crafters to embellish more and have fun with the process.